Rabbi Eli Ben-Dahan puzzles over Ya'alon's treatment of him, noting the enmity the latter had toward him seemingly came from nowhere. Former Defense Minister Moshe Ya'alon (Likud) purposely kept Deputy Defense Minister MK Rabbi Eli Ben-Dahan (Jewish Home) totally in the dark, the latter revealed Monday. 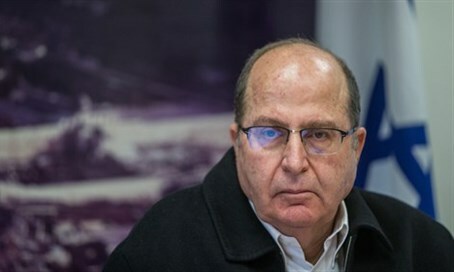 "For the last few months, I was not summoned for any security discussions with Ya'alon," Ben-Dahan stated to Army Radio. This, despite the continuing terror war nationwide. Ben-Dahan added that he "did not understand where this behavior came from," and noted the two had been on friendly terms when Ya'alon was the Judea-Samaria District Commander. He also rejected claims that the distance was due to rivalry between Jewish Home and Likud. "There is no message which the Jewish Home gave that we should fire Ya'alon," Ben-Dahan noted. "Jewish Home, on many occasions, tried to defend Ya'alon." "There was no reason for this behavior and there was nothing upon which it was based." Ben-Dahan added optimism for the future, however, noting fewer ideological gaps between him and incoming Defense Minister Avigdor Liberman (Yisrael Beytenu). Liberman himself lives in Nokdim, part of Gush Etzion - and part of Judea-Samaria. "He knows what the administration's stance is toward residents," he reflected. "I'm sure he wants to improve it."